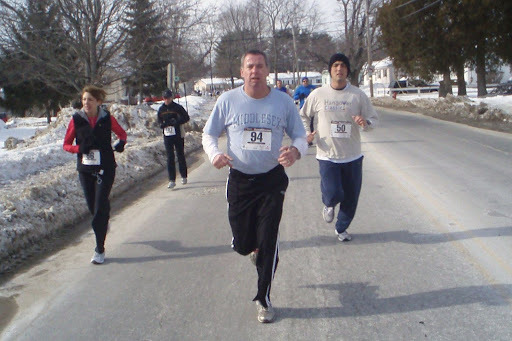 I have a terrific time whenever I run a race in Lowell. And the Super 5K has a special place in my heart. 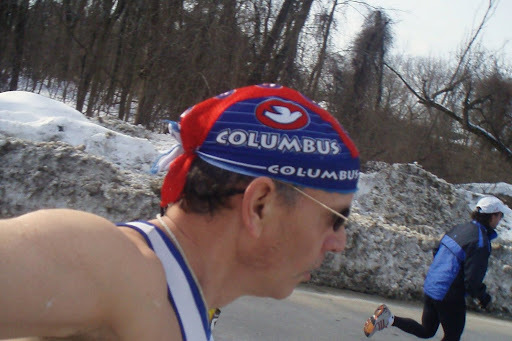 I first ran it in 2006, and set a PR. 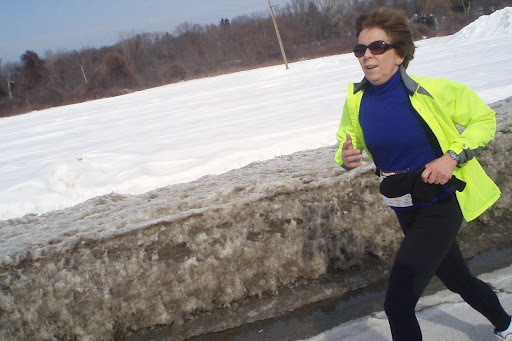 To make that day even more sweet, I discovered that the race director, Jim Rhoades, had arranged for photographs to be taken of the runners...and when I went to his website I found a photo of me, running. That photo in 2006 was a first for me. I'd never seen myself running. Never knew that people photographed runners in a race! It was a surprise, and a thrill. Today there are no surprises. The weather is ideal: with temperature hovering a 30 degrees, and no wind. The roads are dry and we couldn't ask for better conditions.